Red-eyed dove Streptopelia semitorquata, copyright Atamari. 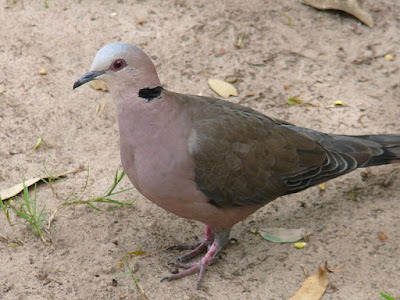 Streptopelia, the turtledoves, is a genus of pigeons found in Africa and southern Asia. Members of this genus generally have pinkish underparts and a distinctive collar of black or black and white patterning around the nape. See also: The voice of the turtle.